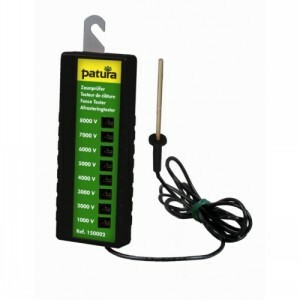 Visually monitor the output of your electric fence. Essential for daily fence monitoring. Shows the conditoin of your fence in eight stages (1000 to 8000 volts). Complete with connecting cable and earth stake.